The breakfast was really great. Sausage and potatoes, muffins, all kinds of stuff. The staff were nice. The room was nice and cozy, plus I liked the colors of the room. The complimentary crib was nice. I just wish the pool was a little warmer. It was cooler than I expected. But overall I really enjoyed my stay and would stay again in the future. The location was easy to locate from I-5; minutes to food & entertainment. Where to find Corvallis hotels near an airport? Where can I find hotels in Corvallis that are near tourist attractions? Travelers in Western Oregon who are looking for quality accommodation in and around Corvallis have many options from which to choose. Corvallis has approximately 10 hotels and apartments within easy driving distance of the town center. Corvallis offers visitors a range of centrally located places to stay, including the Holiday Inn Express Corvallis-On the River and Super 8 Corvallis. Albany is an area that is 15 kilometres (9 miles) from the heart of Corvallis and offers 8 hotels you can book with Expedia. Accommodation options here include the Holiday Inn Express & Suites Albany and Comfort Suites Linn County. While visiting the Lebanon part of Corvallis, some of the good hotel options include the Valley Inn and Cascade City Center Motel. Lebanon is 30 kilometres (18 miles) from the heart of Corvallis. Hotels in Sweet Home include Sweet Home Inn and Foster Lake Inn. Sweet Home is 55 kilometres (35 miles) away. Students, families and those watching their dollars can choose from lovely Corvallis room options that definitely won't blow holes in their budget. 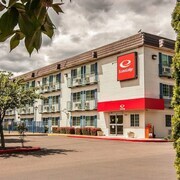 18 kilometres (11 miles) from Corvallis' downtown area you'll find the La Quinta Inn Albany. The Days Inn Corvallis is only 1 kilometre (1 mile) away. 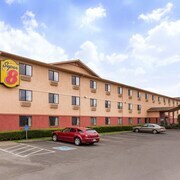 The Super 8 Corvallis and the Super 8 Albany are two other lower priced places worth looking into. 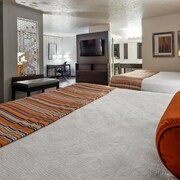 Check out the Hilton Garden Inn Corvallis as well as the Comfort Suites. 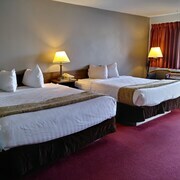 The Hilton Garden Inn Corvallis is located 2 kilometres (1 mile) away from downtown Corvallis. The Comfort Suites, is situated 2 kilometres (2 miles) away. 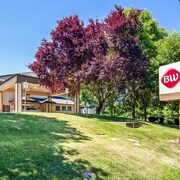 Two other hotel and apartment options around this area are the Best Western Corvallis and the Best Western Plus Prairie Inn. If you'd like to see more of the forests and mountains in this section of United States of America, you may like to plan extra days in other parts of Western Oregon. Whether you engage in common regional activities, such as cross-country skiing, or just travel around to see the sights you will be able to find comfortable places to stay in the region. South Portland is 95 kilometres (58 miles) to the northeast of Corvallis and is home to the Wilsonville Memorial Park and Oregon Korean War Veteran's Memorial. The Holiday Inn Portland South and La Quinta Inn Wilsonville are just some of the Expedia-listed long and short-stay alternatives in South Portland. 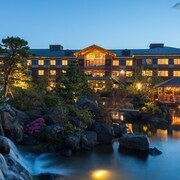 Or stay in Springfield, 60 kilometres (38 miles) to the south of Corvallis, where you can choose from the Courtyard by Marriott Eugene Springfield and Holiday Inn Express Hotel & Suites Eugene Downtown-Universty. Regardless of whether you're passing through or spending a few nights in Springfield, don't miss the Gateway Mall and Dorris Ranch. McNary Field Airport is 45 kilometres (27 miles) from Corvallis. Travelers who choose to stay close by, can easily secure a room via Expedia at the Residence Inn Marriott Salem or Hampton Inn and Suites Salem. What are the most popular Corvallis hotels? Are there hotels in other cities near Corvallis? What other types of accommodations are available in Corvallis? Explore Corvallis with Expedia.ca’s Travel Guides to find the best flights, cars, holiday packages and more!